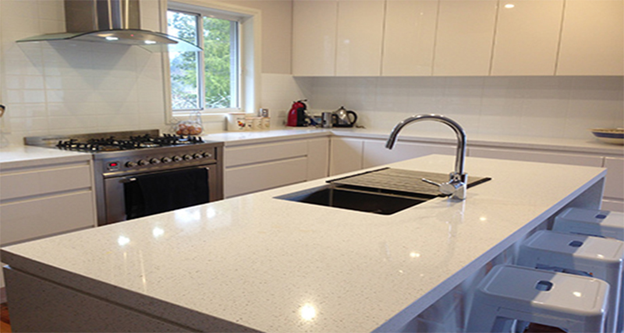 Engineered stone: Also known as the quartz stone or engineering quartz, it is a manmade composite material that includes crushed quartz added with an adhesive namely polymer resin. The best thing about engineered stone is that it is available in a wide range of styles including natural like stones, flat shades, and many other artistic features. Granite: This is another natural stone, in fact, a coarse igneous rock that comes with visible and large grains. Granite is formed slowly from magma deep below the surface of the earth. This stone is made of feldspar and quartz with little amounts of amphiboles, mica and other types of minerals. The best things about granite are that it is very strong as well as it is available in a range of shades like black galaxy, super white and Kashmir white. Each of these types comes with some great differences in color and grain patterning. But some of these slabs also come with uniform patterning. And while sealed and polished, the patterning and color look really striking. Porcelain: This material is a low-porosity and high-density ceramic made of colored pigments and powered clay attached together at a really high pressure and temperature. Due to the low-porosity and high-density nature, this material can completely resist UV fading, heat, scratching and staining and this is why this works as the ideal material to be used in the kitchens. Here the designs and patterns can also be sublimated successfully into the surface to recreate the look of rusted steel, timber, concrete and marble. 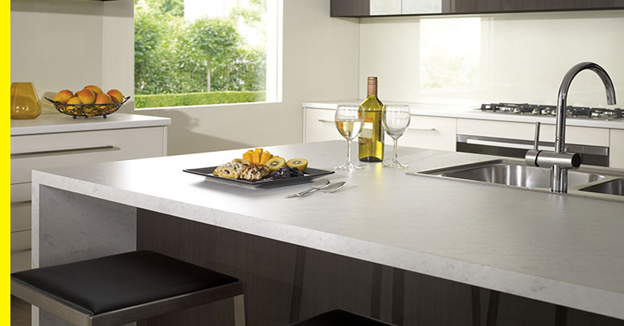 Laminate: It is one of the most popular materials used for creating kitchen benchtops. This material includes decorative paper soaked with melamine resin and then coated in the plain layer of melamine and bonded onto the wooden substrate. The best thing about laminate is that almost any design can be placed into it while giving it the scope to recreate timbers, natural stones, concrete and other kinds of designs.